Carlos Eduardo Mestieri has a law degree from PUC São Paulo and completed his graduate studies in Brazil and abroad in management by objectives and disaster recovery. 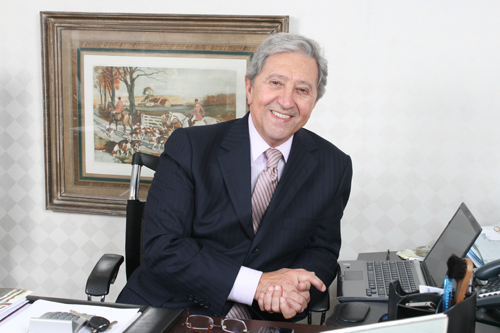 He has more than 45 years of experience in the communications industry. He has served as the vice president of the International Public Relations Association (IPRA), founder and president of the National Social Communication Companies Association (SINCO), and president of the Brazilian Association of Communication Companies (ABEC). Mestieri wrote “Relações Públicas: Arte de Harmonizar Expectativas” (Public Relations: The Art of Harmonizing Expectations), the first volume of a series called Great Names, published by the Brazilian Association of Corporate Communication (ABERJE). AMestieri currently heads INFORM Comunicação, the company at the center of a network of specialized companies in all areas of corporate communication within Brazil, Latin America, North America, and Europe and is one of the most respected public relations firms in Brazil, recognized for its pioneering spirit.